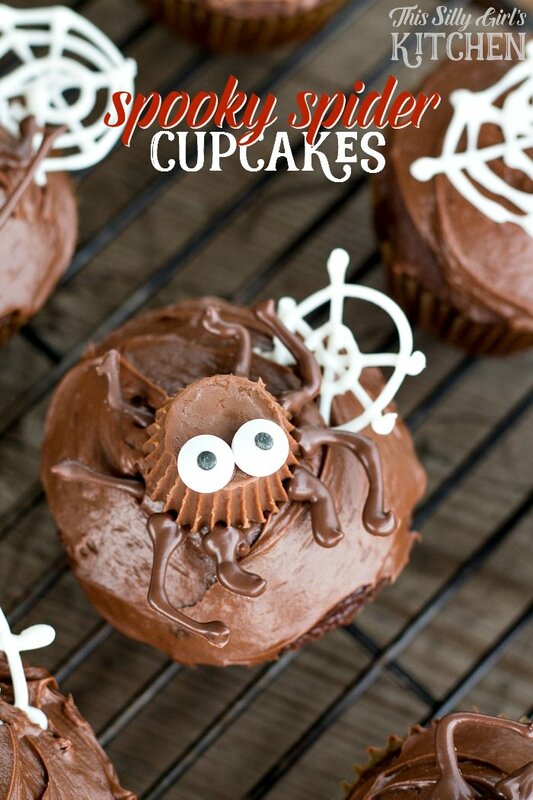 Spooky Spider Cupcakes, a fun way to decorate your favorite cupcakes, just in time for Halloween! 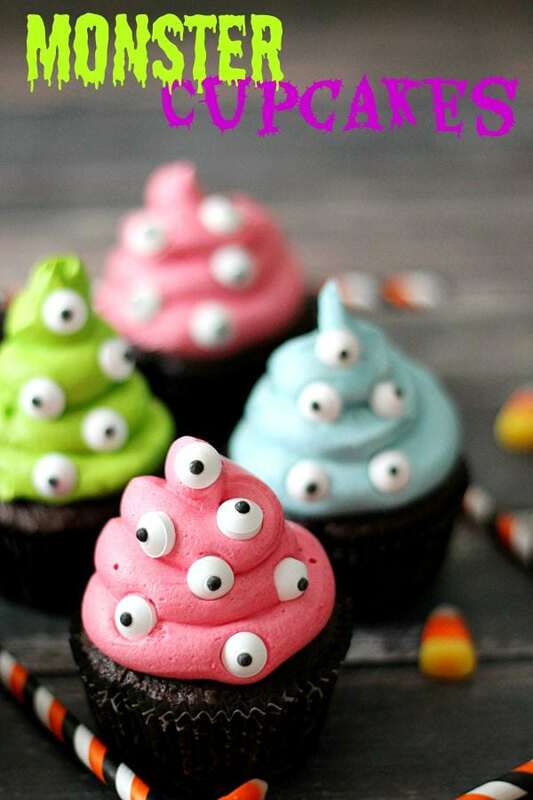 Now that October is fast approaching, I know you want lots of ideas for decorating Halloween treats! 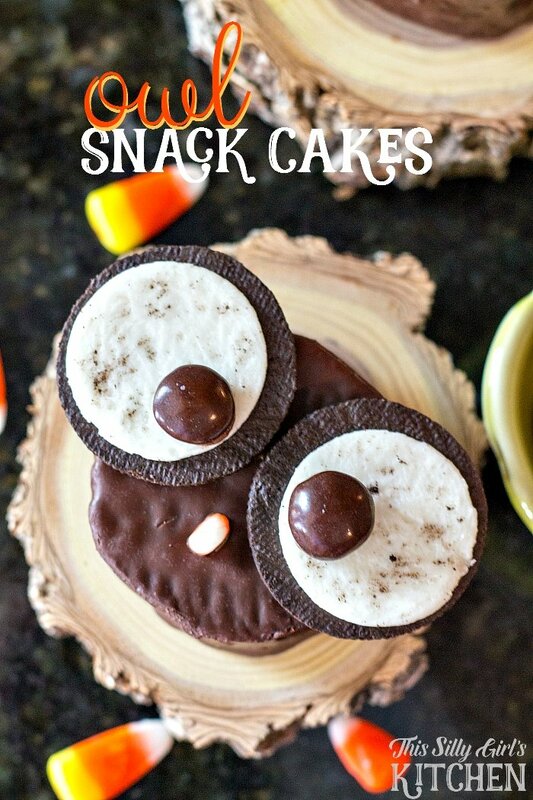 I shared Owl Snack Cakes last week, which are a breeze to put together and definitely do able for beginners! 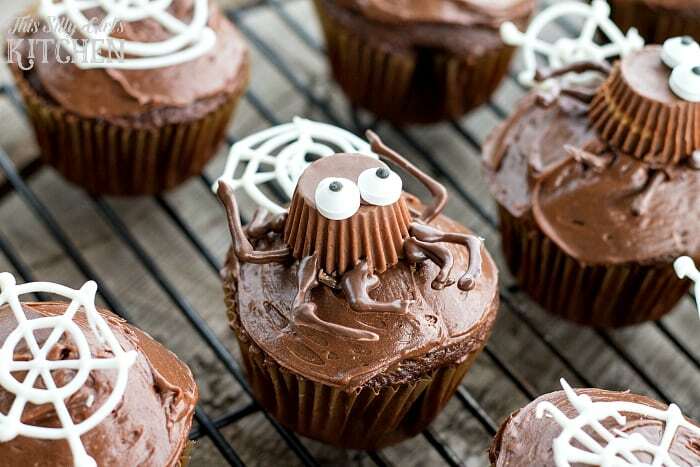 Today’s spooky treat; Spider Cupcakes is just a little more advanced. 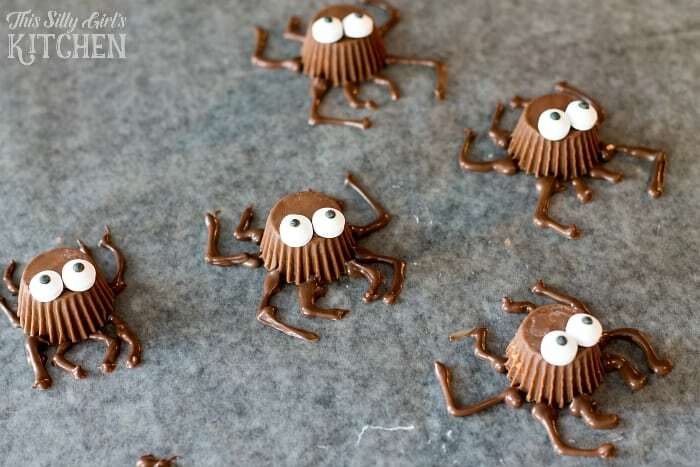 They aren’t difficult at all, but take a touch of technique to make our focus point: peanut butter cup spiders! So spooky. 😉 Their spiderwebs can be a little tricky too, they are extremely delicate. I used almond bark for the webs and the spider legs. You can find this in the baking aisle, normally by the chocolate chips. 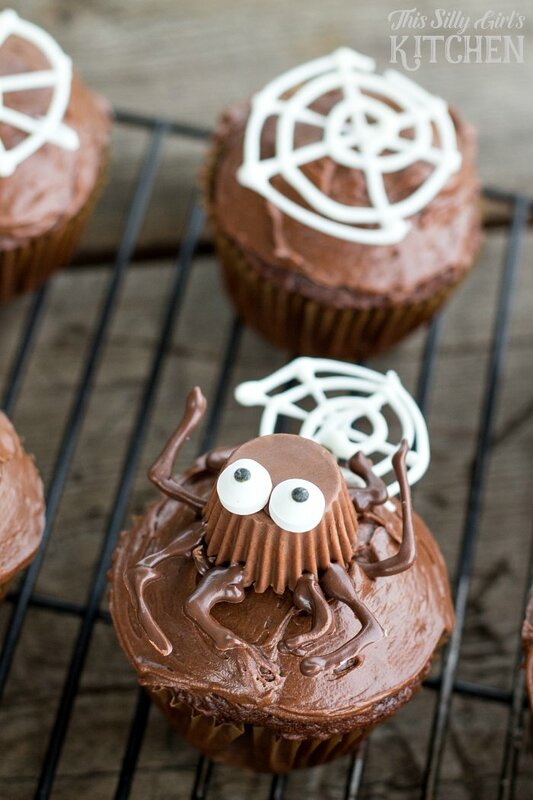 The addition of googly eyes just set these spiders off and I think bring that little cute aspect to the cupcakes as well. These are once again a non-recipe recipe. I’m not even going to include a printable recipe in this post because there is no need. Your favorite cupcakes and frosting. 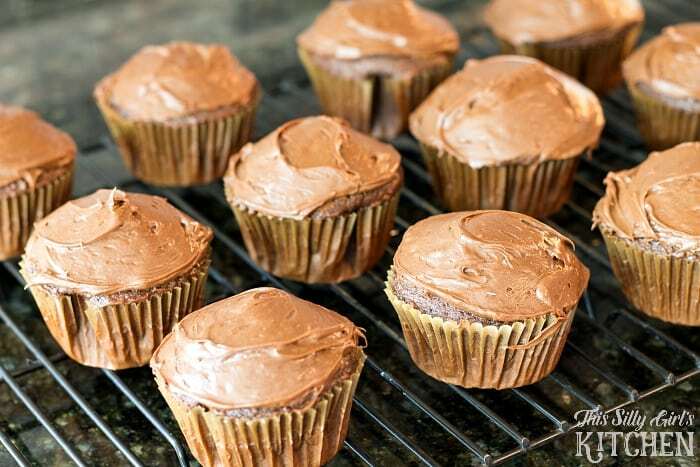 I used devil’s food cupcakes with classic chocolate frosting. 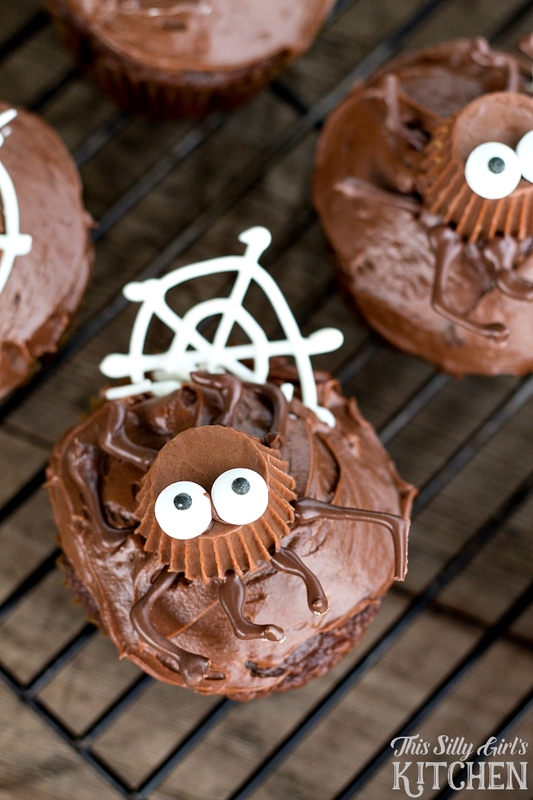 But, these spider cupcakes are all about the topping so, go with whatever cupcakes you prefer. Peanut butter cups. I made 12 cupcakes for this post and 6 spiders. So, I only needed 6 peanut butter cups, the minis you get in a bag that are individually wrapped. Depending on how many spiders you want to make, that’s how many candies you will need. If you are having trouble getting all the chocolate to separate from the wrapping, I suggest popping them into the freezer for a couple minutes. That should do the trick! Almond bark. Both the chocolate and white chocolate versions. 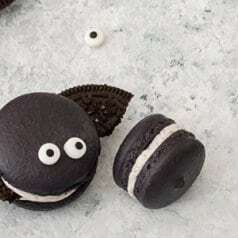 Candy googly eyes. 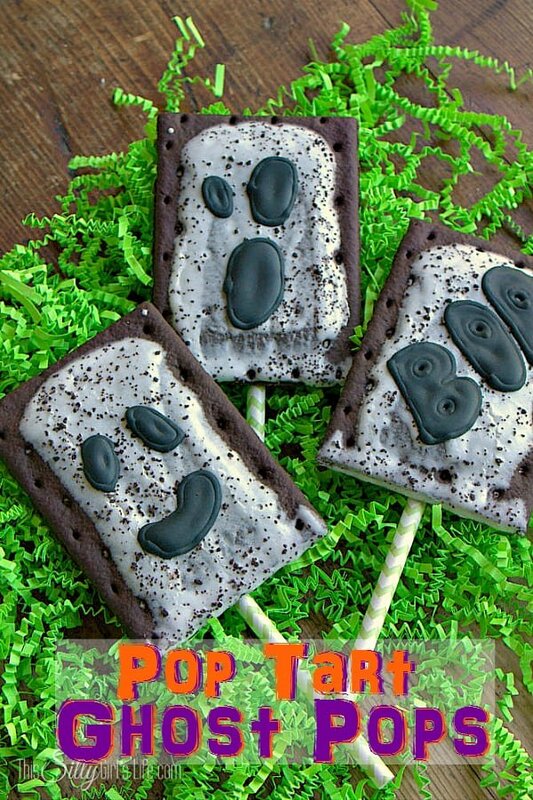 You should be able to find these in the baking section again in the grocery store, since it’s close to Halloween. 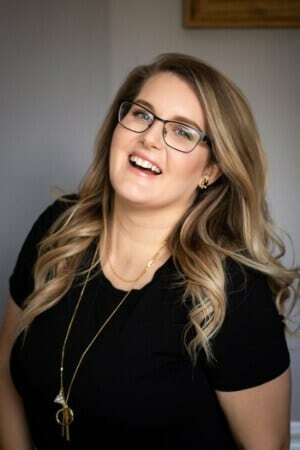 If you are having trouble, you can always find them in the more specific baking section of large retailer stores, by the crafts. 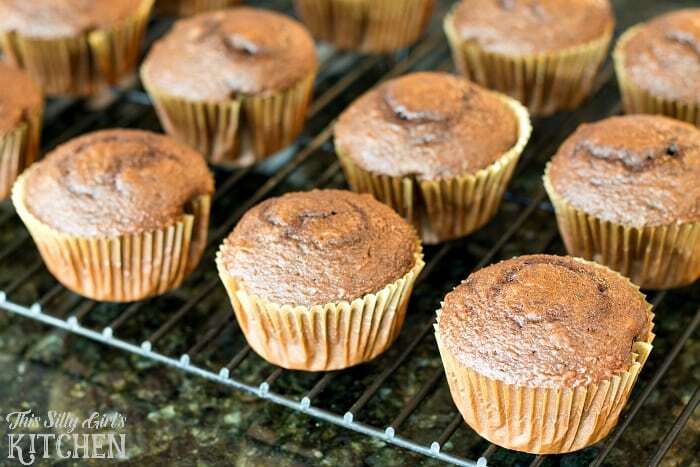 Once you have your cupcakes baked and cooled, frost them but use a thin layer of frosting. This will help the spiders and spider webs more securely stick on the top of the cupcakes. Next, we will make the spiderwebs and spiders. To make the spiderwebs, melt a small amount of the almond bark, per the instructions on the back of the package. Spoon into a piping bag with a very small round tip. 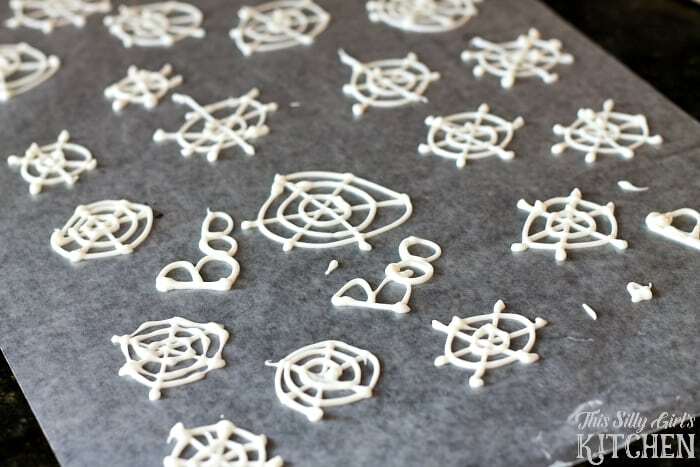 Then, using wax paper, pipe out the spiderwebs, I would make small bigger and some smaller. Make sure they are always connecting. Allow to dry and harden before trying to lift them off the paper. The spiders are a touch more tricky. Using the chocolate almond bark, melt a small amount, according to the directions on the back of the packaging. Again, place into a piping bag attached with a small round tip. Again, allow them to dry completely. When the webs and spiders are dry and hardened, use an off set spatula to VERY CAREFULLY remove the almond bark from the wax paper. Do so by easily sliding the spatula under the designs and loosening it all over before attempting to pick it up. Place the larger webs on the cupcakes by themselves. 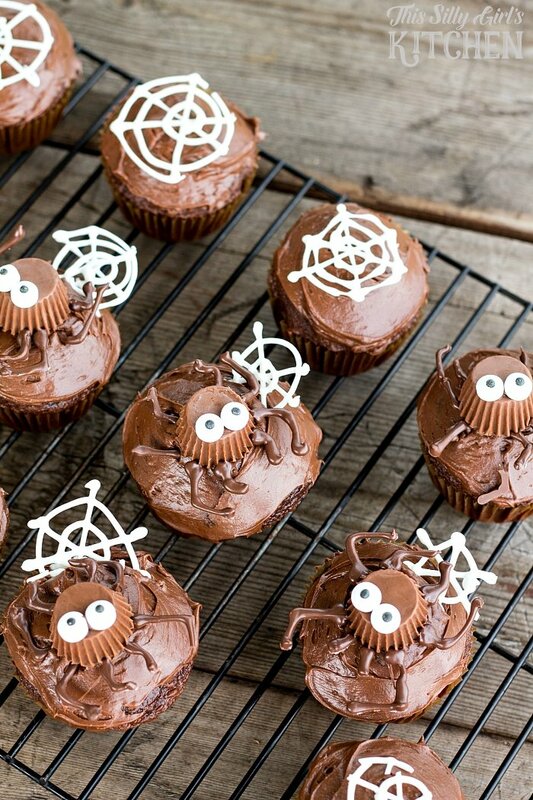 Place the spiders in the middle of the cupcakes and add a smaller web for more detail. And, there you go! 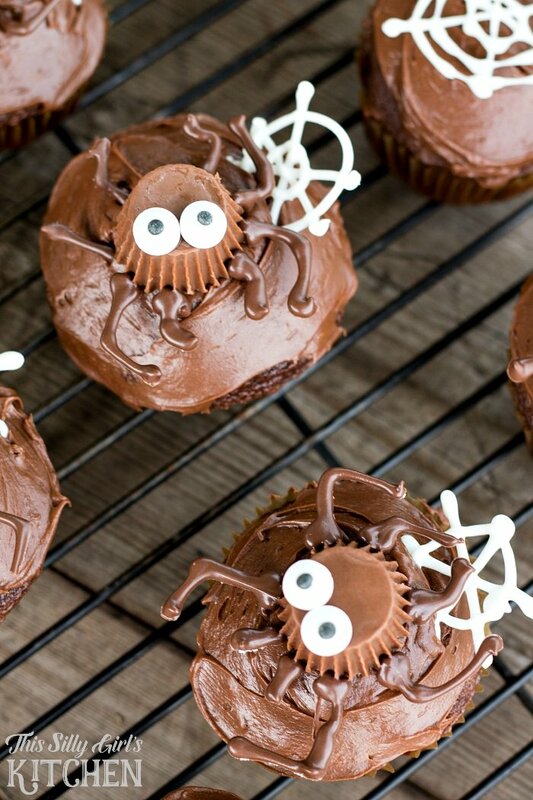 Cute, Spooky Spider Cupcakes! Don’t be discouraged if one of the spider legs fall off during the handling. Just stick it into the frosting and no one will know! Aren’t these just so cute?! 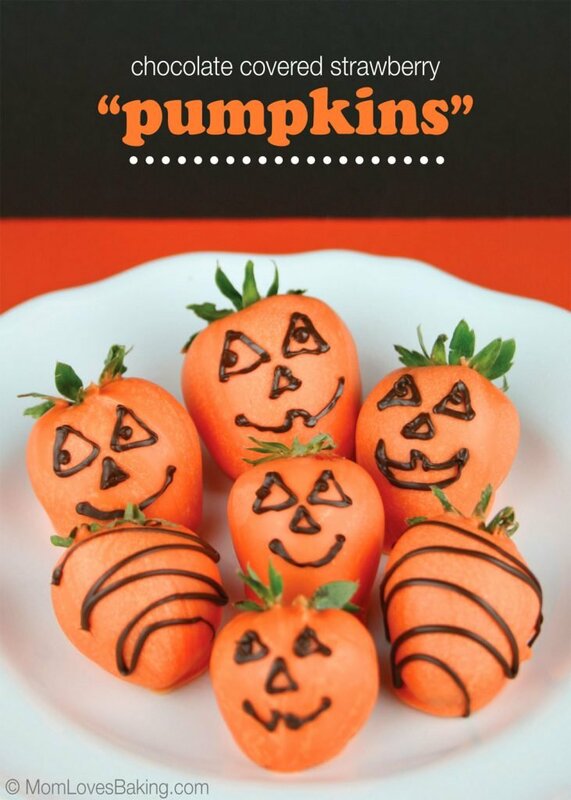 I know the little ones will love them too! I hope you enjoyed today’s super scary post! 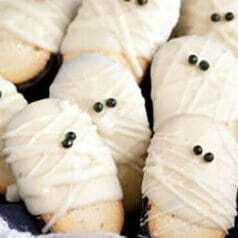 Since you’re here already, why don’t you check out these other spooky Halloween recipes to make your little goblin!